Forest City Fashionista: How to Do The Perfect "Casual"
Alex is one of the most consistently well-dressed men I know, even when he's being casual, as in the photo above. 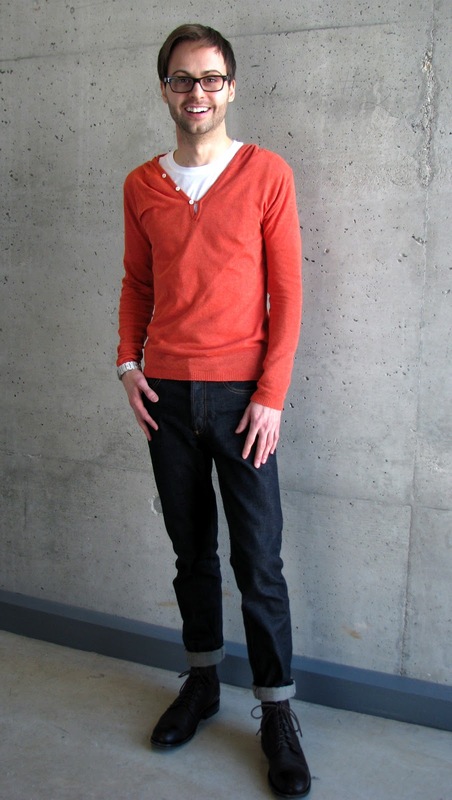 I LOVE the colour of the sweater, because a) it's rare to see a bright colour like this on a man, and b) because it works so well on him with his brown hair and glasses, and he's paired it with navy and brown. It's all about the bright burst of colour, the perfect narrow dark wash jean, and the slim silhouette. 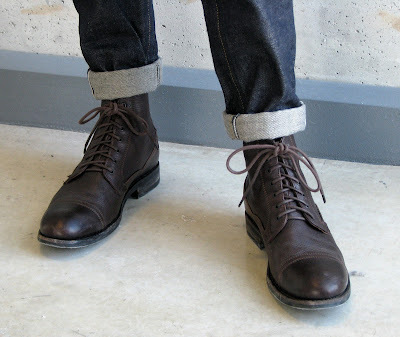 I like when men (or women) do the roll on the hem of their pants, but only if the pants are a narrow straight leg. The final element here is a well-polished pair of beautifully classic shoes.